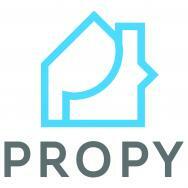 Propy, a Silicon Valley startup, that uses Ethereum blockchain technology for reliable, cost-effective automation of the entire process of sales, transfer, and records management for global real-estate transactions. Using real-time blockchain-based ledger, Propy enables government land registries, title companies, title insurers, and other agencies to securely issue and preserve title deeds and other real-estate record data for transactions globally. The platform facilitates cross-border payments; assists buyers and sellers with paperwork; help users find local brokers; search and filter for walkability, pollution, green-building certifications, price, and square footage.